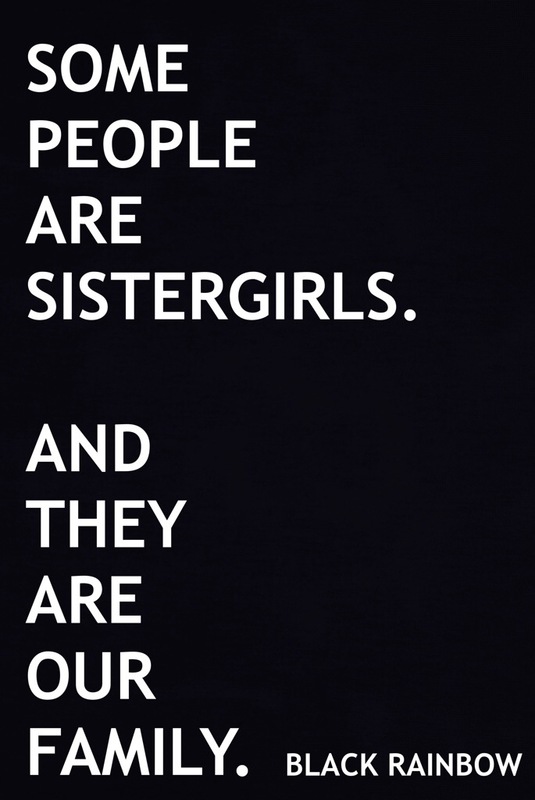 There is very little Indigenous anthropological material regarding the historical place of LGBTI Sistergirl and Brotherboy Indigenous Australians. 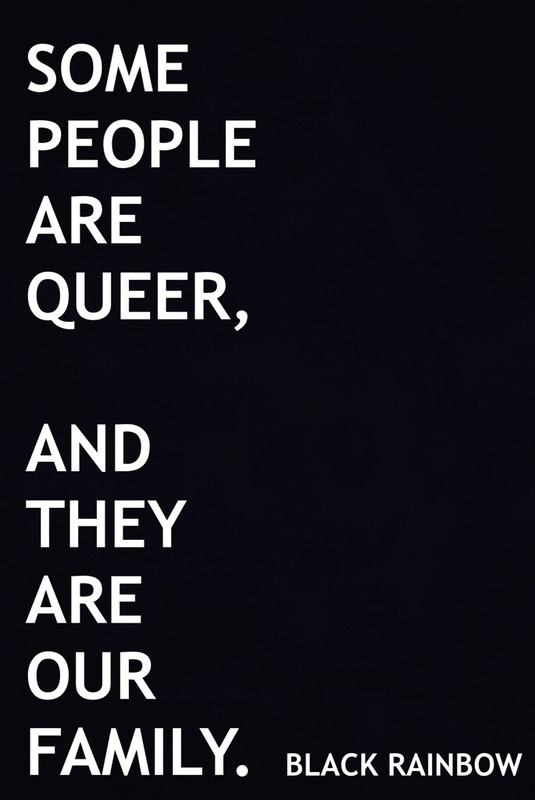 There is very little Indigenous anthropological material regarding the historical place of LGBTI Sistergirl and Brotherboy Indigenous Australians. What has been accessible is predominately framed within sexual health or to be specific a HIV/AIDS context; not our histories or roles and functions. 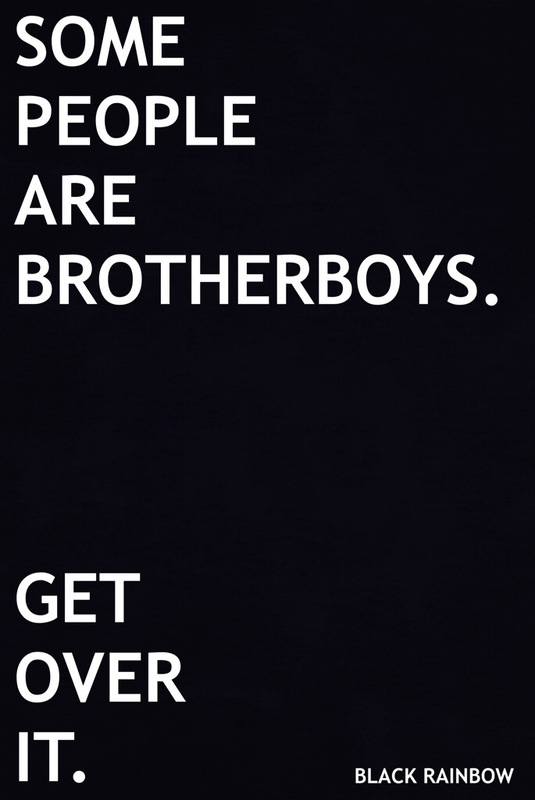 Black Rainbows aims to make visible Indigenous LGBQTI Sistergirl and Brotherboy peoples. 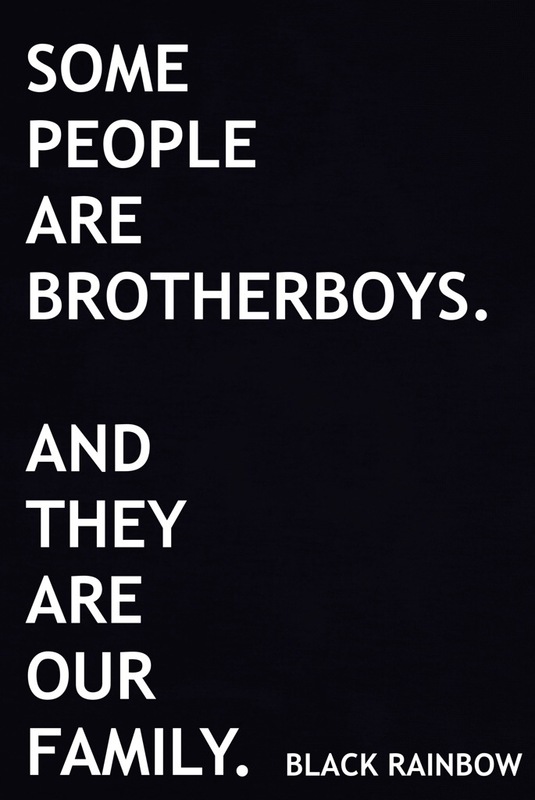 Here in Australia there is limited information/resources/stories accessible of Brotherboys in Men’s Health. There is also limited information in the general space of positive social and emotional wellbeing, mental health and suicide prevention. 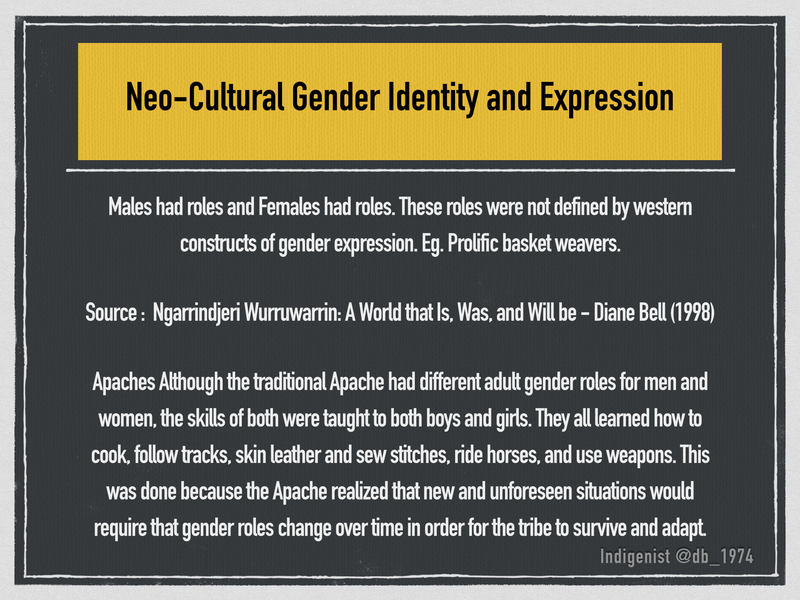 The representation of other colonised nations’ multiple sexualities and genders has a place informing the discussion regarding Indigenous Australian LGBTI Sistergirls and Brotherboys. 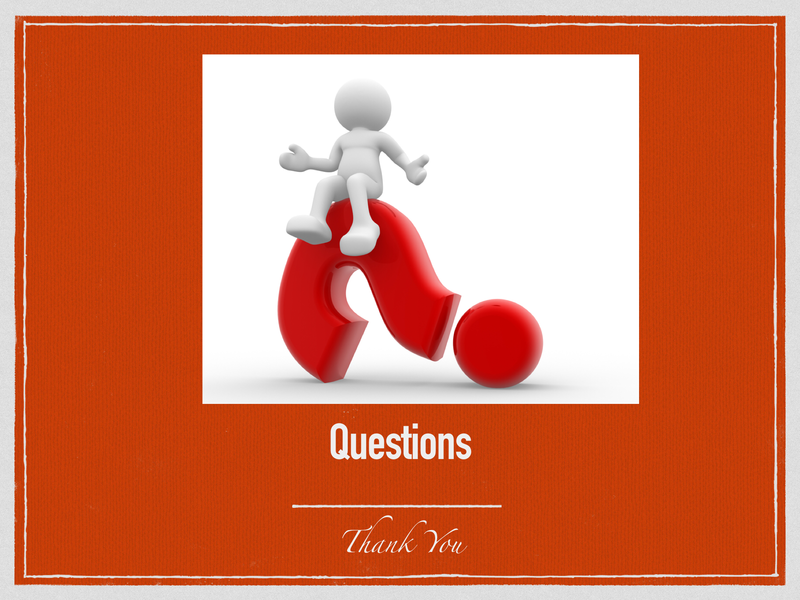 On the Black Rainbow facebook page, what is shared is what is available. Some reports are out of print and have had to be sourced from overseas (Did you meet any Malagas by Dr Dino Hodge was purchased from Amazon) or hunted down through archives (Malaga to Malaga by Gary Lee which was purchased as scanned PDF copies from a Canberra library). 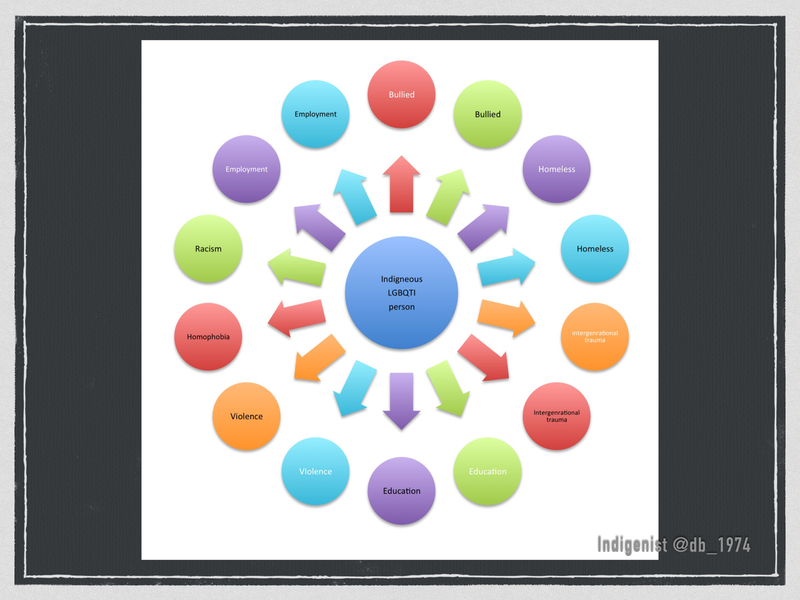 I have been heartened by discovering The Postgrad Sista: A Blog about Indigenous Gender Diversity and become good friends with the author. 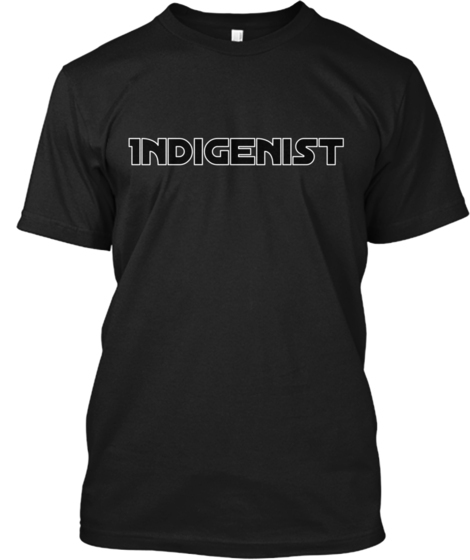 In the Guest section of Indigenous Consultancy you will find a couple of blogs by The Postgrad Sista. 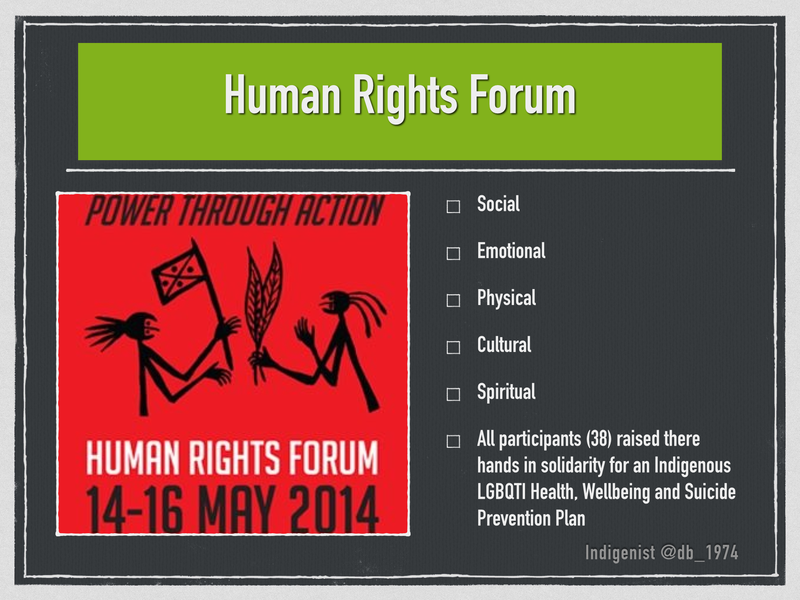 Cultural considerations that prohibit certain things being shared and conversations and sharing does also happen away from non-Indigenous spaces. Black Rainbow is run from Broome, WA. Black Rainbow is part of a larger network and conversation and its primary function is about visibility and keeping the conversation going. In under three months it has managed to do just that. 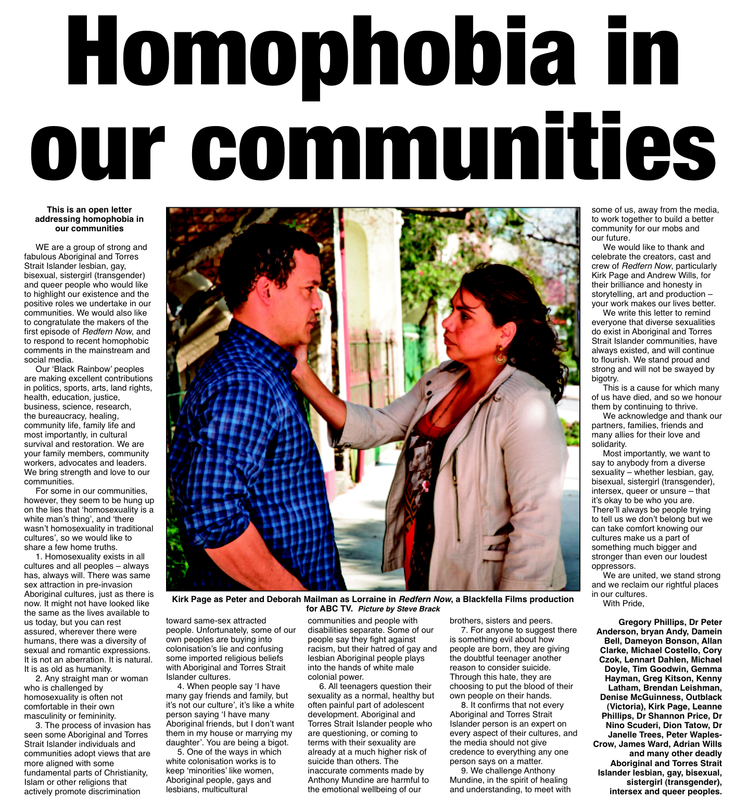 Last week Black Rainbow was the front page of the most circulated gay and read gay street press, the Star Observer. 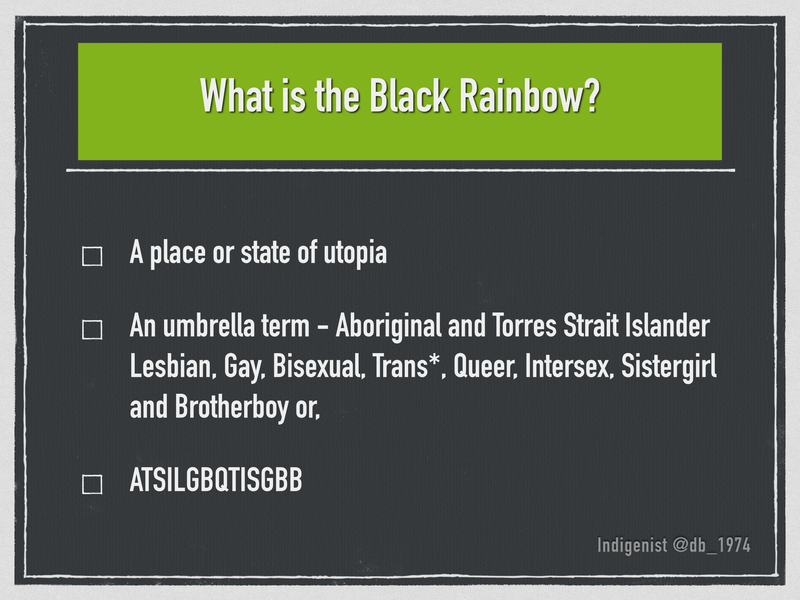 Black Rainbow exists primary as a resource of information sharing, conversation and visibility. It will no doubt grow as it too is organic and it is hoped that it will grow beautifully. 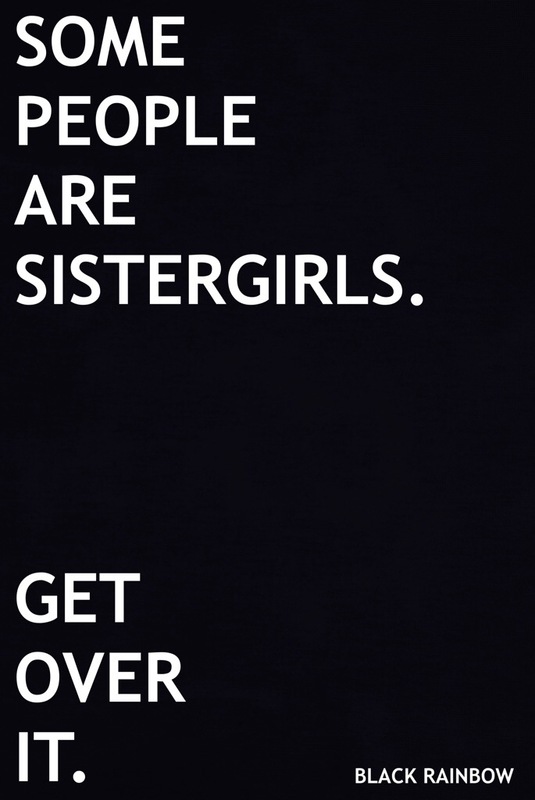 It is not the voice of Indigenous Australian LGBTI Sistergirls and Brotherboys but one of the many mechanisms for those voices. 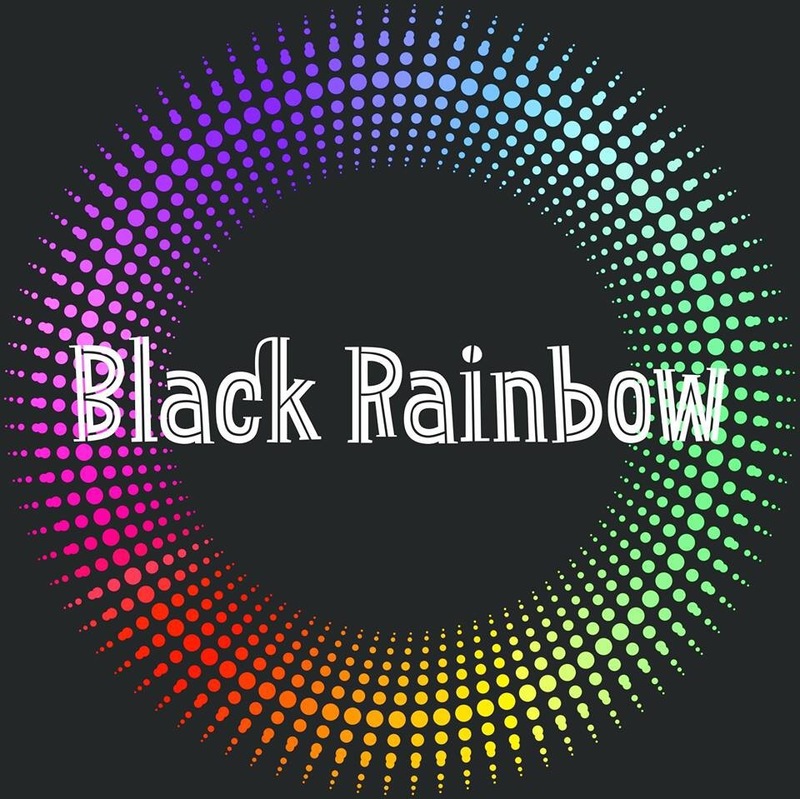 Thank you for your interest in Black Rainbow, your membership is much appreciated. Here are some posters Black Rainbow developed. 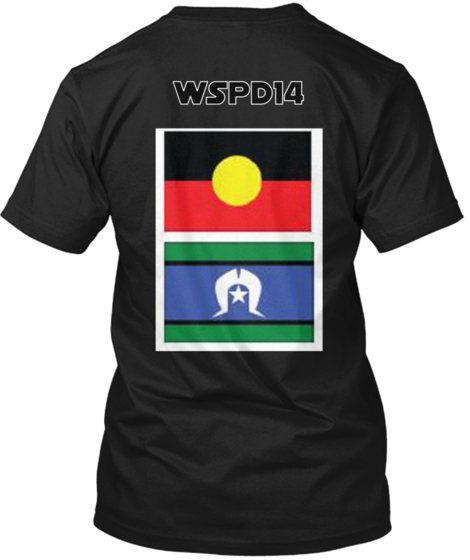 Categories: Dameyon Bonson, Indigenous, Indigenous LGBQTI - Black Rainbow, Indigenous Suicide Prevention, LGBTI, Two Spirit | Permalink. 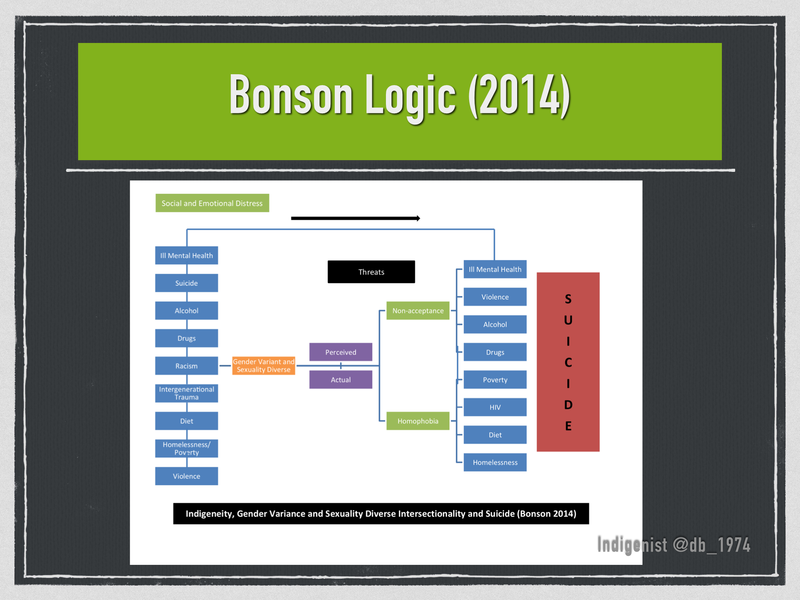 Abstract : The suicide rate for Aboriginal people can fluctuate between 4 to 12 times the national average. 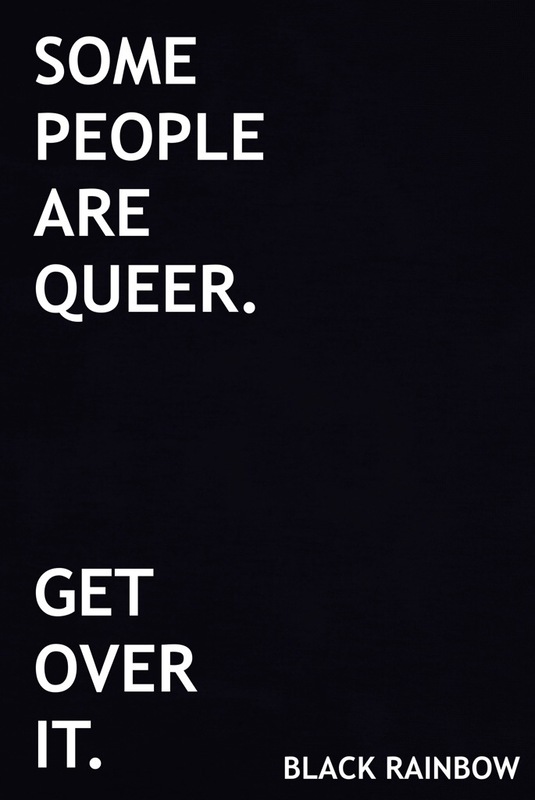 Similarly Lesbian, Gay, Bisexual, Queer and Transgender Individual (LGBQTI) health literature note LGBQTI populations are also a high risk of suicidality. 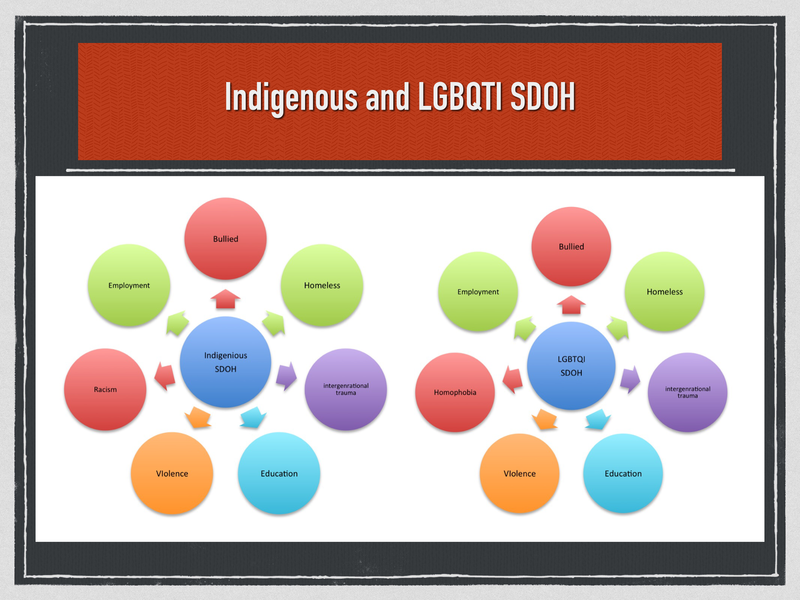 A review encompassing 15 years of Aboriginal and LGBQTI health literature was undertaken; including the current National Aboriginal and Torres Strait Islander Health Plan (NATSIHP) 2013-2015, the Aboriginal and Torres Strait Islander Suicide Prevention Strategy 2013 (ATSISPS) and national LGBTI Health Strategies; Growing Up Queer (2014) and Writing Themselves In I, II, III (1998, 2004, 2010). 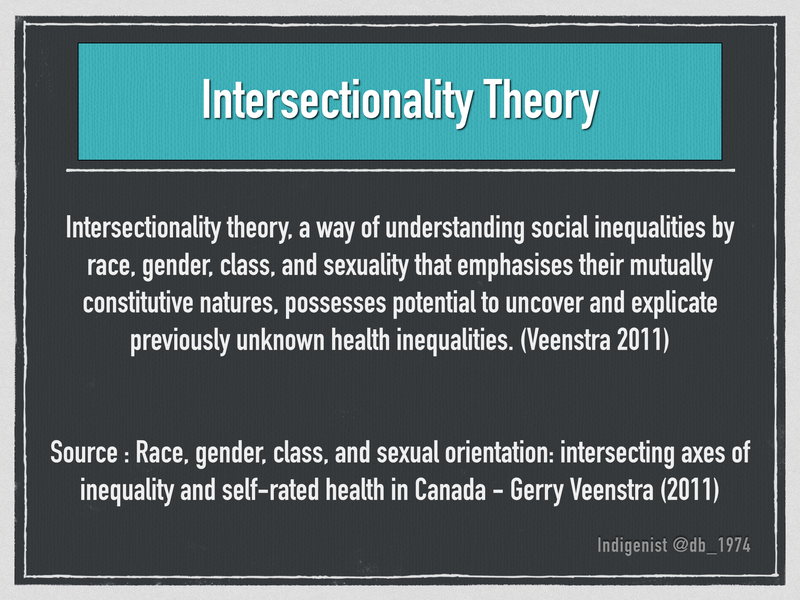 The review noted a paucity of information on the causation of any potential suicidality at the intersection of Indigeneity, gender variance and diverse sexualities. 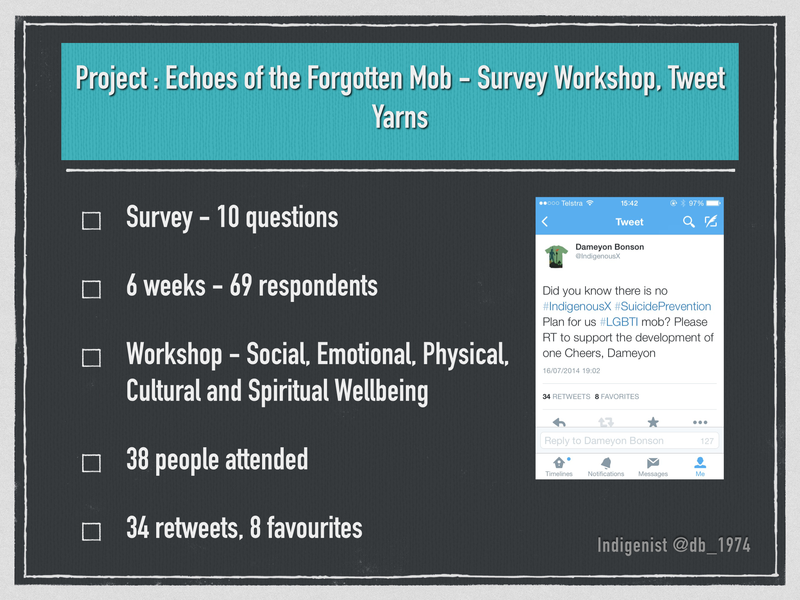 This study captured voices of Aboriginal LGBQTI peoples through workshops called “Yarning Circles” (Bessarab and Ng’andu 2010); online surveys circulated via Aboriginal LGBQTI networks; and “tweet yarns” (Parker 2014). 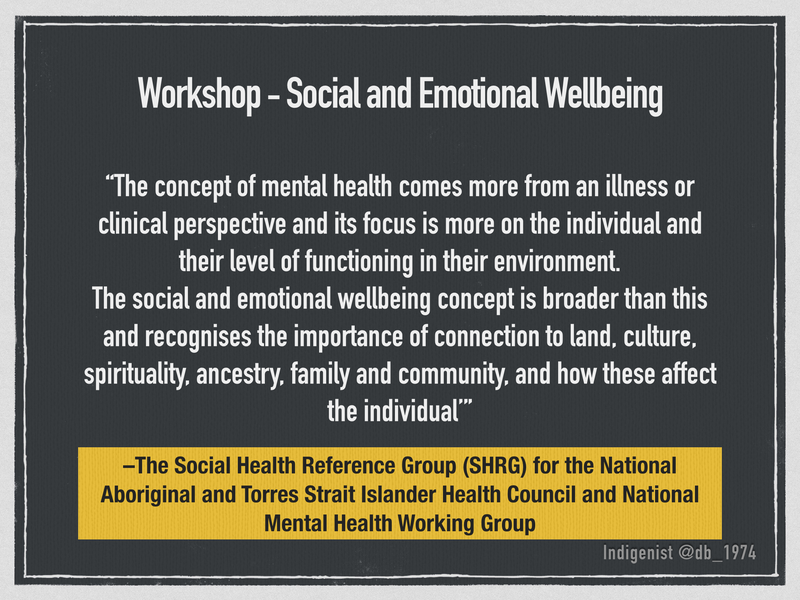 The online surveys and Yarning Circles established that overwhelmingly participants had not seen any health, wellbeing and suicide prevention strategies or activities for the Aboriginal LGBQTI community, and that this group would like to see some preventative measures in place. 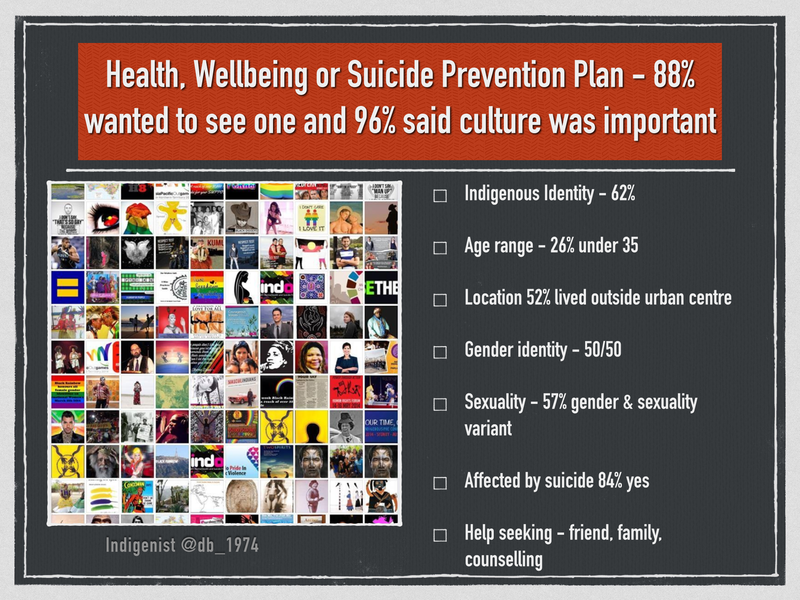 These findings suggest the current Aboriginal Suicide Prevention Strategy and national LGBQTI Suicide Prevention Strategy need amending to reflect the unique needs and solutions for Aboriginal LGBQTI communities. 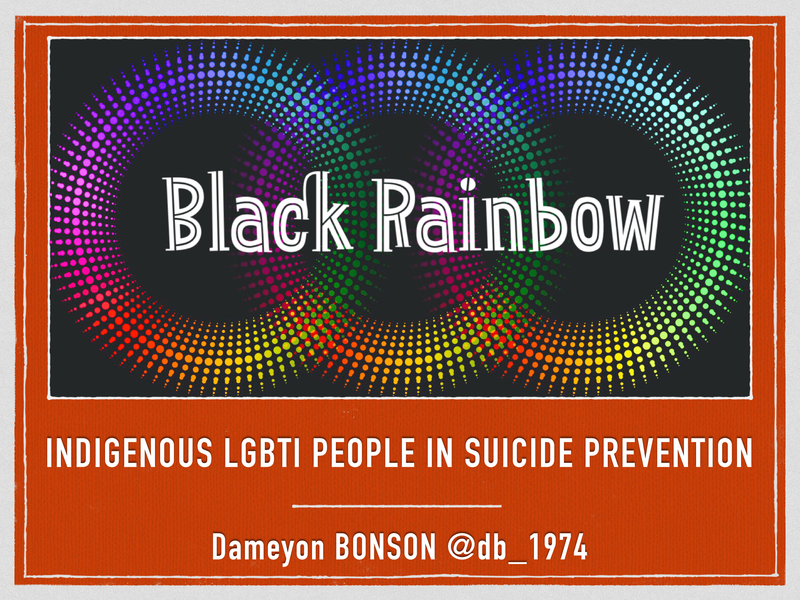 Categories: Dameyon Bonson, Indigenous, Indigenous LGBQTI - Black Rainbow, Indigenous Suicide Prevention, LGBTI, Mental Health, Suicide, Two Spirit | Permalink.